I have developed an intense fascination, preoccupation … and obsession with wild yeast beers. In my personal opinion, Lambics are quite possibly the most exciting and interesting style of beer. Ales and lagers are both fermented carefully with cultivated strands of brewer’s yeast -using tremendous control. On the other hand, Lambics are produced by spontaneous fermentation. Although, my spontaneous nature has led to less than desired consequences in the past … I still pride myself for having such a free-spirited and adventurous personality. 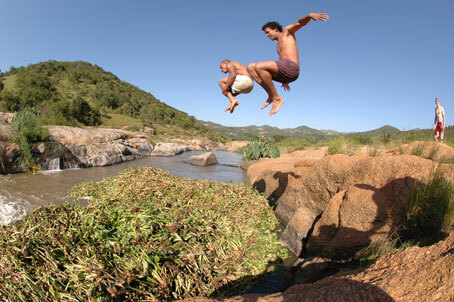 So what if I almost died jumping off an 80 foot cliff when I was in high school … I am still alive now, right? I love the thrill of not knowing. I function well in chaos. I love jet setting at the very last minute. I am an adventurer and explorer. And this is why I love the concept of spontaneous fermentation. The late and internationally renowned Beer Hunter, Michael Jackson, has referred to Lambics as the winiest of all the world’s beers. As with many Belgian beers, Lambics are also subject to many regulations. In order to receive Lambic “certification” and label privileges, Lambics varieties must have Traditional Speciliaty Guaranteed (TSG) status. 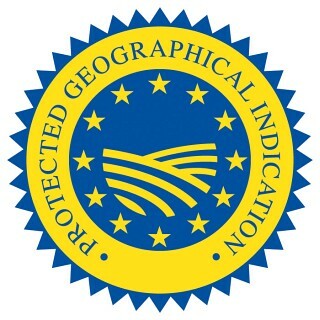 The Traditional Speciality Guaranteed (TSG) is a trademark for an agricultural product or a foodstuff, which has a certain feature or a set of features, setting it clearly apart from other similar products or foodstuffs belonging to the same category. The product or foodstuff itmust be manufactured using traditional ingredients or must be characteristic for its traditional composition, production process, or processing reflecting a traditional type of manufacturing or processing. So what exactly is all the traditional mumbo jumbo for Lambics? 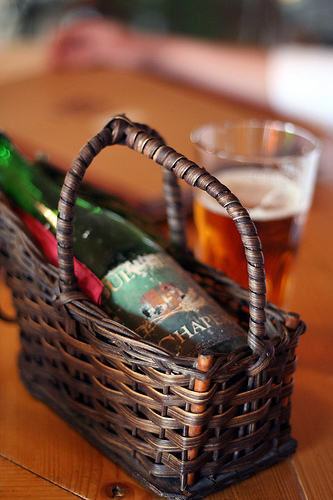 The Lambic style can trace its roots back over 400 years, and has remained mostly unchanged from its introduction. The first written recipe is dated 1516. Although it is impossible to confirm the origin of the word “Lambic” (“lambiek” in Flemish / Dutch), its most likely origin is the small town of Lembeek (“Lime Creek”) – a municipality close to Brussels. Today, Lambic production is concentrated in the western part of Brussels and in the nearby “Pajottenland”. 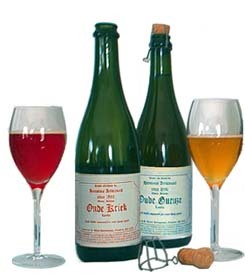 The definition of Lambic was set out in a series of Belgian Royal Decrees in the 1960’s and 70’s. These determined that Lambic must be made from at least 30% unmalted wheat at a gravity of no less than 11 Plato. Lambic wort is usually composed of 60-70% barley malt and 30-40% unmalted wheat. Lambic beers are typically made from an original density (wort-strength) of 11.75-13.5 Plato (12.7 is the classic level) with an alcohol content of around 5.0-6.5% by volume. Lambic beers use a variety of mashing regimes – some being very long and elaborate. 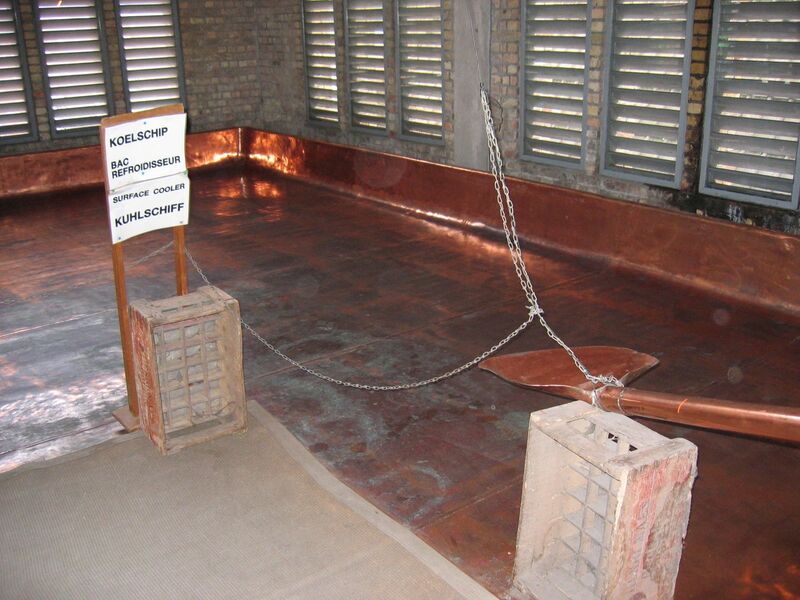 The traditional method involves making two separate mashes and heating each in individual kettles. At the boiling stage, Lambic beers use far more hops than conventional beers – sometimes up to 6 times as many hops. HOWEVER … Lambics are NOT bitter. (We will get to the flavor notes later). One of the MAJOR differentiating factors about Lambics is that they use AGED HOPS, typically aged up to three years. The object of aging hops is to diminish their aroma, flavor, and bitterness. 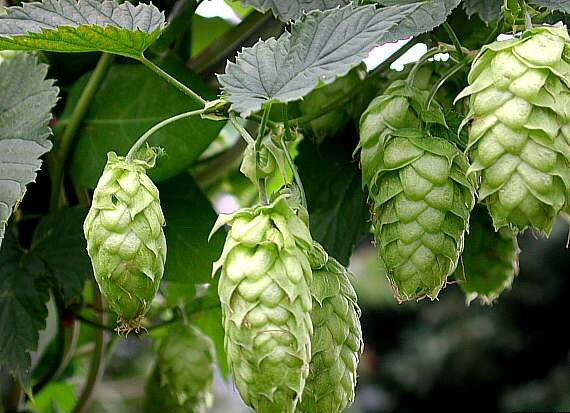 INSTEAD, the hops are being used solely for their secondary purpose – to ward against unwanted infections and excessive oxidation. Unlike conventional beers which usually boil for an hour or so, the Lambic boil lasts anywhere from 3 to 6 hours. 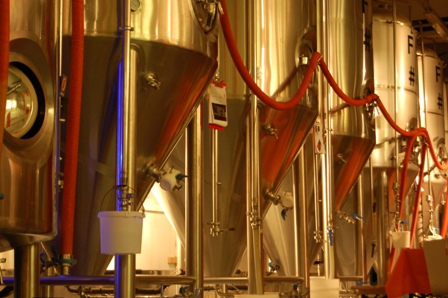 After the boil, conventional beers are usually cooled in a heat exchanger. Lambics are not. Instead, Lambic wort will spend the night in a coolship. Then it is on to fermentation. Unlike with conventional beers, No yeast is artificial added to Lambic wort. Instead, Lambic wort is exposed to the open air of the “Zennevalei” aka the Senne-valley. Wild yeast cells, including Bretanomyces bruxellensis and Bretanomyces lambicus (which are always in the open air in the environment of Brussels), come into the wort and eventually result in spontaneous fermentation. Due to the spontaneous fermentation, Lambic can be brewed only in the “winter season” (October-May). 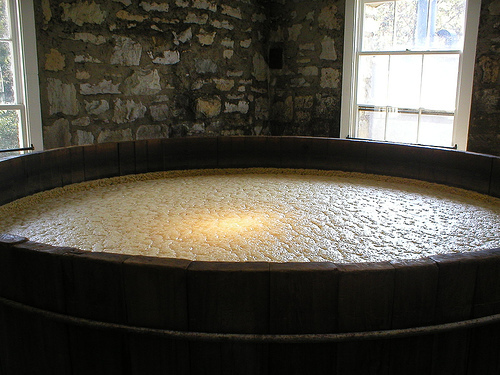 In summertime, there are too much undesirable bacteria, which can infect the wort and interfere with the natural fermentation. Most ales and lagers are produced using only a few strands of yeast, while Lambics are typically made with around 86 yeast strands. As you can imagine, spontaneous fermentation is a very lengthy process. The microorganisms involved in the creation of Lambics must work in a specific sequence. 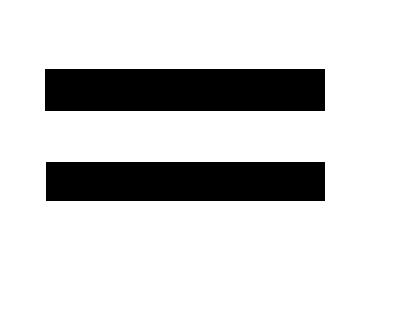 Each microroganism depends on the metabolized products of its predecessors. It takes about two to three years for the entire process to complete and to produce a mature Lambic. 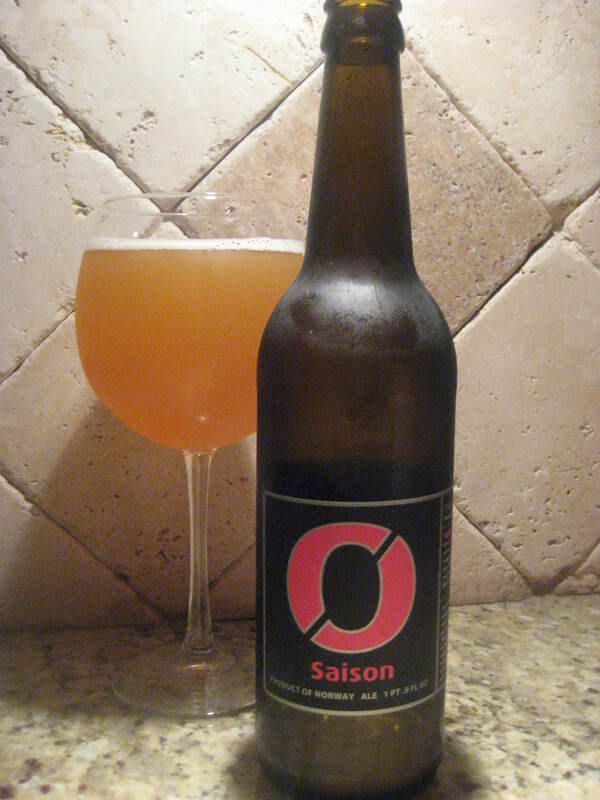 The varieties of Lambic include: Straight Lambic (Lambic Pure), Faro, Fruit, Mars … and MY ABSOLUTE FAVORITE, Gueuze. 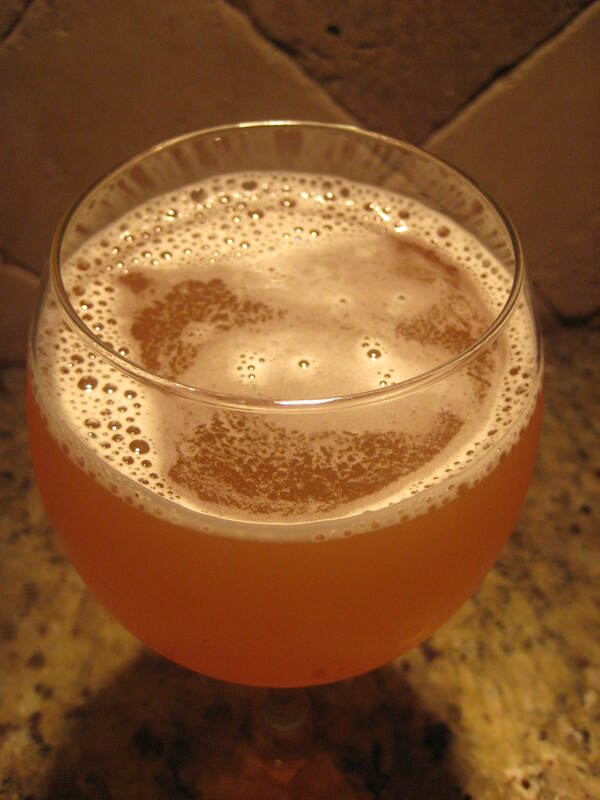 Straight Lambic: Cloudy, uncarbonated (almost still), unsweetened and unblended draught beer. Generally three years old. Extremely hard to find. 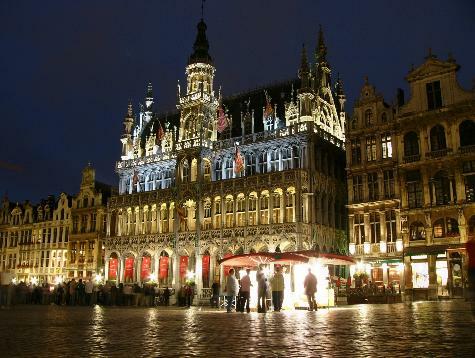 It is served in only one or two two cafés in Brussels and a handful in the area of production. 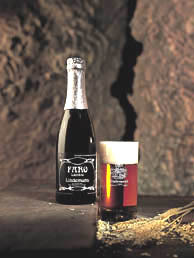 Faro: Unblended three-year-old lambic sweetened with rummy-tasting dark candy sugar and occasionally spiced. Also hard to find and typically found on draught. Sometimes available at Lambic cafés in a do-it-yourself version where sugar is added directly at the table by the drinker and crushed into the drink with a mortar. 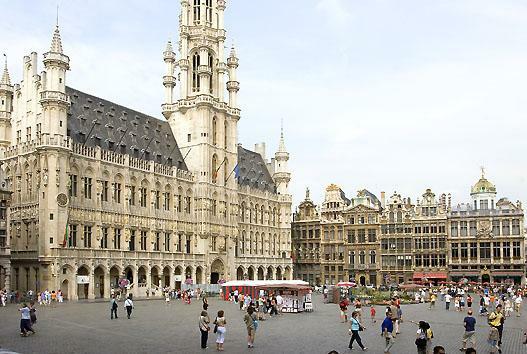 Faro was once the restorative for the working man in Brussels. Mars: Traditionally referred to a weaker beer made from the second runnings of a Lambic brewing. It is no longer commercially produced. Fruit: Lambic with the addition of whole fruit or syrup. Most common fruits include sour cherry (kriek), raspberry (framboise), peach (pêche), blackcurrant (cassis), grape (druif), or strawberry (aardbei). Rarer fruit lambic flavorings include apple (pomme), banana, pineapple, apricot, plum, cloudberry, and lemon. 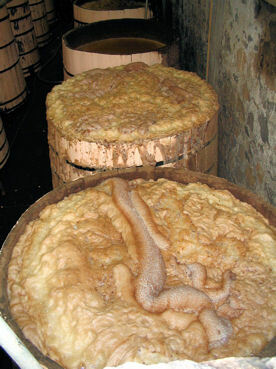 Fruit lambics are usually bottled with secondary fermentation. 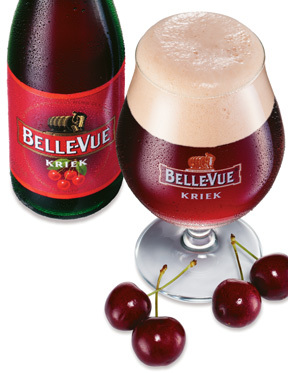 Lambic-based Kriek beers are the most traditional fruit brews. Gueuze: Bottled, sparkling and easier to find. Made by blending young Lambic (6 months to 1 year old) with more mature vintages (2 to 3 years old). It is then bottled for a second fermentation (similar to Champagne and is actually bottled in Champagne bottles). 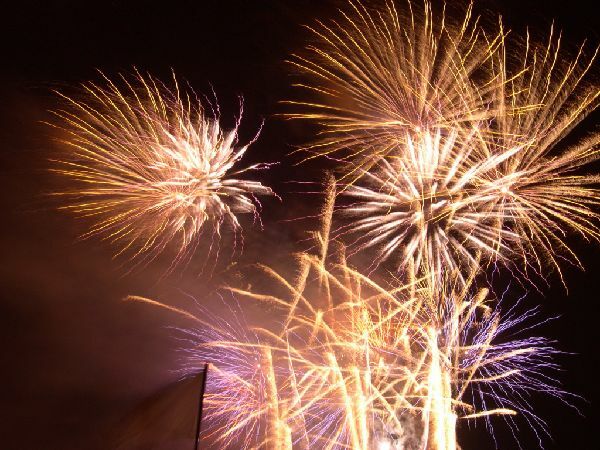 The word Gueuze (hard “g”, and rhymes with “firs”) may have the same etymological origins as the English words gas and ghost, and the Flemish gist (“yeast”), referring to carbonation and rising bubbles. Last spring – while drinking and eating my way through Chicago, I was introduced to the gueze. My first experience was with Lindeman’s Cuvee Rene – which absolutely blew my mind. I loved it so much, in fact, that I opted to drink Cuvee Rene for my last birthday (the quarter of a century celebration) in lieu of Champagne or sparkling wine. To this day, I find it very hard to choose between Gueuze and Champagne! Now that I have posted the educational mumbo jumbo about Lambics … I look forward to tasting and blogging about some of my favorites in the (very) near future! I love making friends. And I love love love taking care of and showing appreciation for my friends. In fact, I would do almost anything within reason for a friend. And I never expect or demand any sort of reciprocation. In fact, I typically am awkward about accepting gifts. Unless of course, these gifts involve beer. In those circumstances I tend to overcome my gift receiving insecurities and weird mental complexes. This past weekend I hosted a party for a good friend of mine who was visiting from Napa, CA. 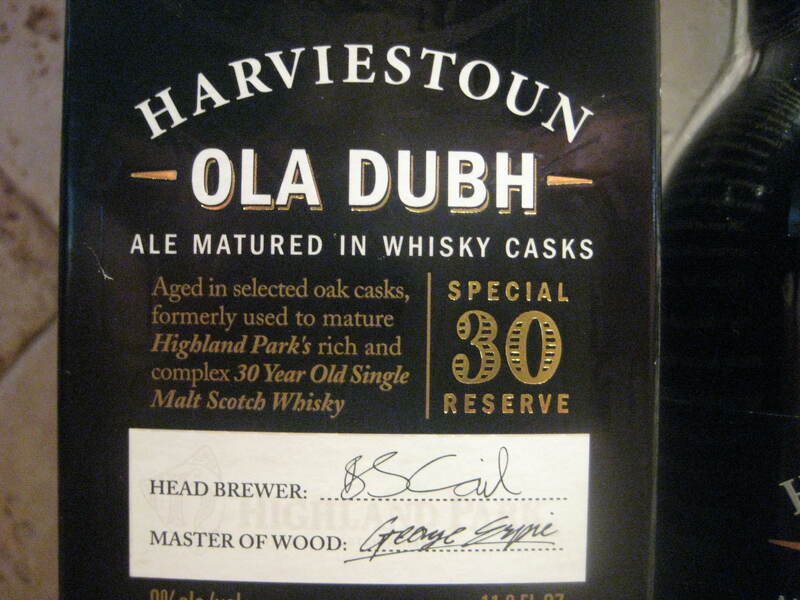 To show his appreciation, he awarded me with a Harviestoun OLA DUBH Special 30 Reserve. DISCLAIMER: I will not be tasting and reviewing OLA DUBH at this moment. 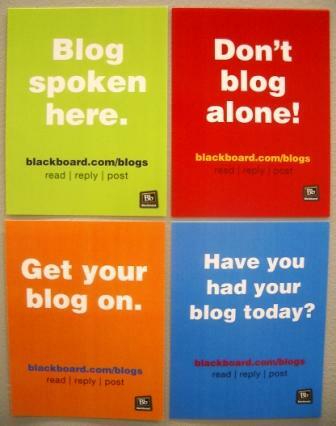 HOWEVER, when I do … I will most definitely blog about it. Since this is a limited edition ale brewed in very small batches, I have made the executive Beer Wench decision to hold it for a special (or spontaneous) occasion! 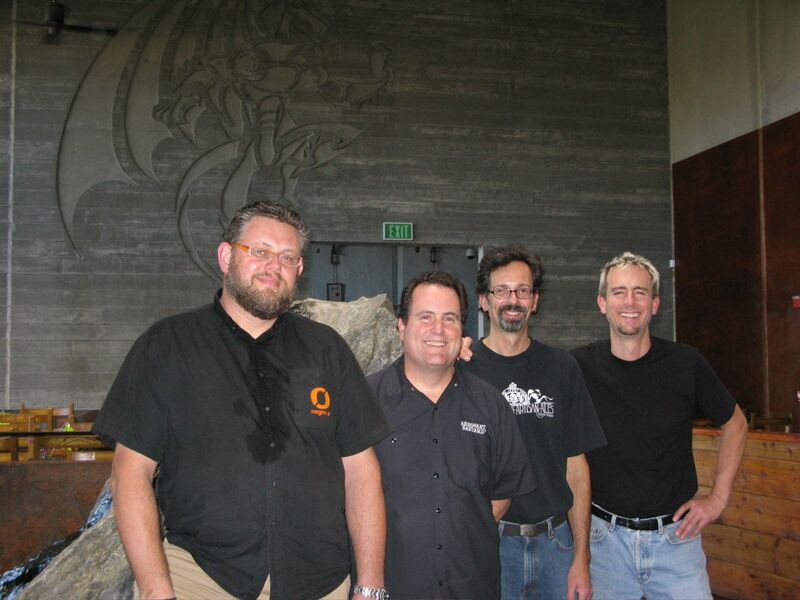 What I would like to do, though, is talk a little bit about the brewery and share the story behind OLA DUBH! 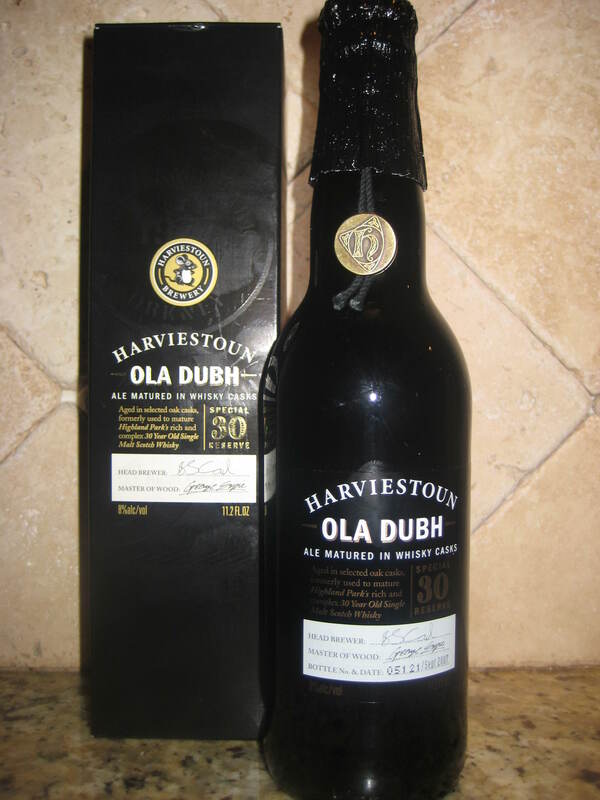 According to Harviestoun, Ola Dubh translates literally to “Black Oil.” Although not 100% certain, I have come to the conclusion that Ola Dubh is Gaelic. 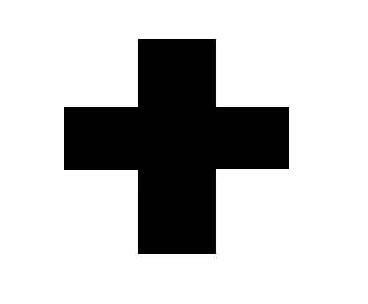 (I know Dubh = Black, and I assume Ola = Oil). Since Harviestoun is located in Scotland, my assumption is probably accurate. Ola Dubh is so named because it is gloopy and viscous (just like oil). 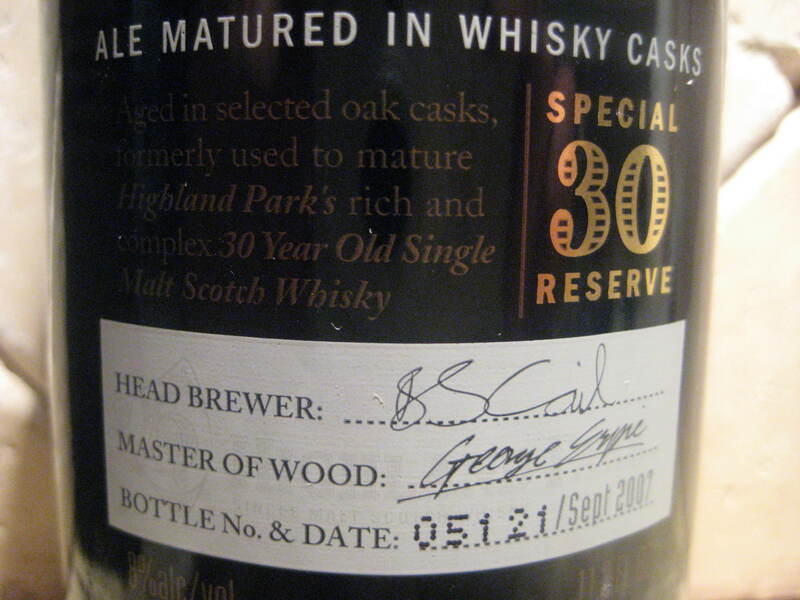 Every bottle of Ola Dubh Special Reserve 30 is individually numbered and labeled BY HAND. My Ola Dubh is number 5121 and was bottled in September 2007. Appearance: Deep brown with a burgundy flush; a rich, rocky head the colour of milled oatmeal. Aroma: Gently finessed top notes of fresh heather and honey; subtly toasted malts; vanilla and balancing hints of red fruits; distant and beguiling smoke. 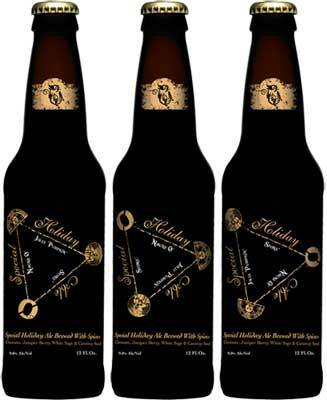 Palate: Elegantly subtle development of wine-like notes, through bitter chocolate and espresso beans, to a sustained, oaked conclusion. Finish: Elegant. Extended and oaky. Pine resin and juniper. Perfumer honey and traces of peat. We can’t pretend this is just a job. We love beer. We really mean love. It’s our work, our play, and our passion. Heck, we’d probably bath in it – if that didn’t seem a bit of a waste of a few good pints. We don’t do things the way everyone else does. We learned traditional brewing skills and then scoured the world for the best ingredients to use in our custom-built brewery. We craft beers by hand – but we like to be innovative. If we make it light – it’s really light; if we make it dark, well, it’s not called Old Engine Oil for nothing! We won’t use additives. Even in ancient times there was some weird stuff put into beer (tree-bark anybody?). We only use the finest quality barley, wheat, hops, yeast and water, and unlike some other brewers, we don’t use hop concentrates- just the whole flower as grown by Mother Nature. 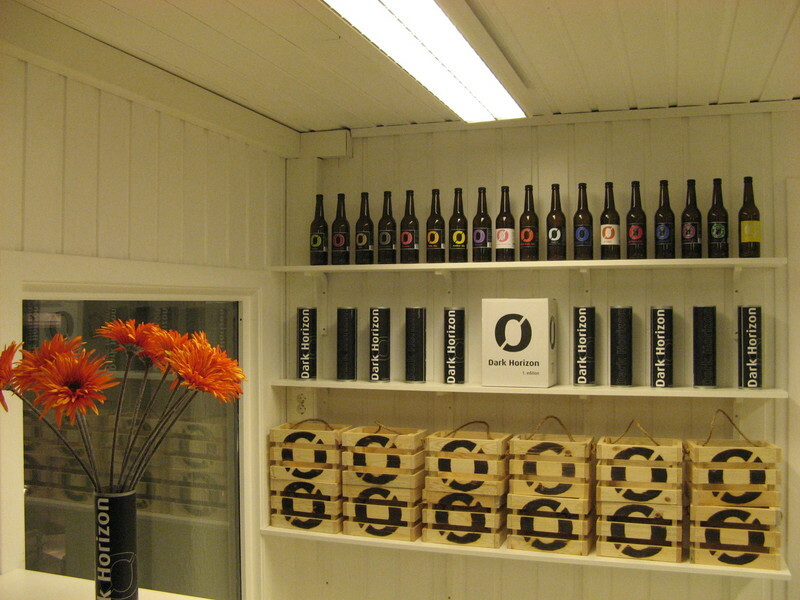 Our beers are also bottled using less carbon dioxide – resulting in a more natural tasting beer. 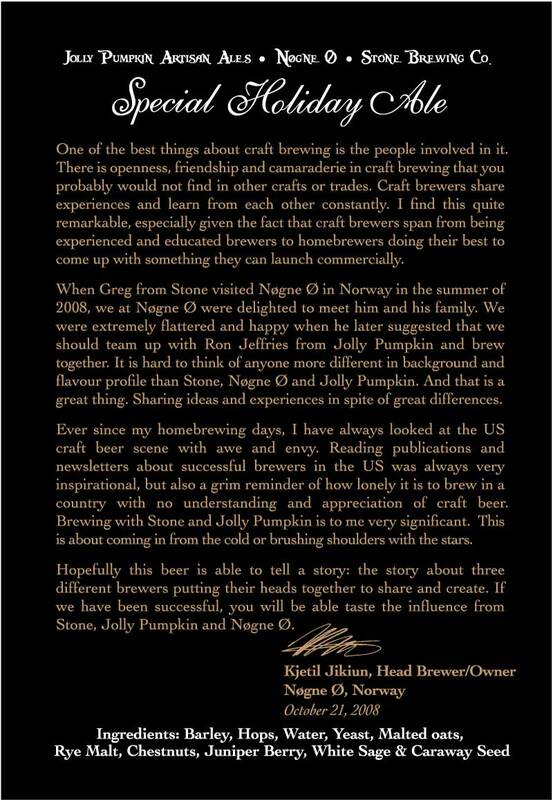 We shouldn’t boast, but we’re really good at brewing. We mean exceptionally good, and it’s not only us who thinks so. Just have a look at all the nice awards people keep giving us. TREMENDOUS THANKS TO COREY FOR GIVING ME THIS JEWEL! I LOOK FORWARD TO DRINKING IT! So … I may be a few steps behind when it comes to the seasonal beers released by Lagunitas this year. BUT – better late than never, right? 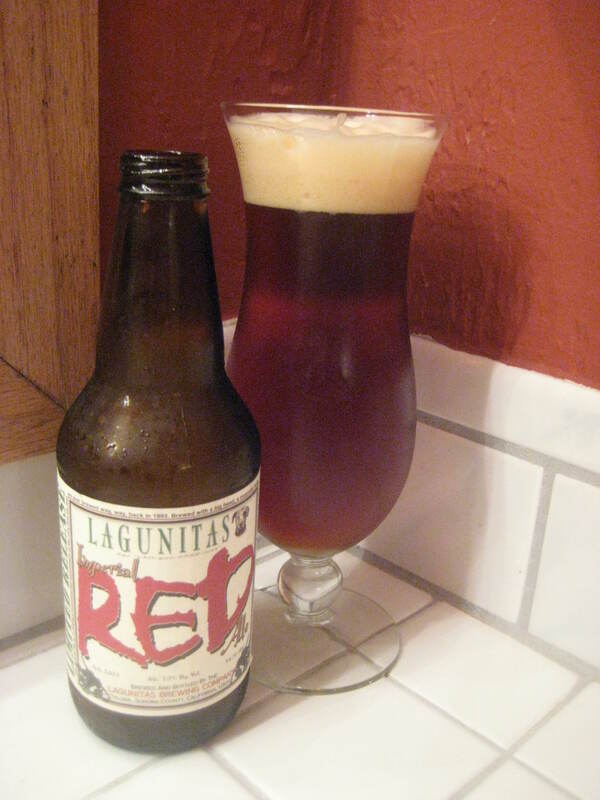 Lagunitas released its 2008 Imperial Red Ale late this past summer. Its running streak ended in October. 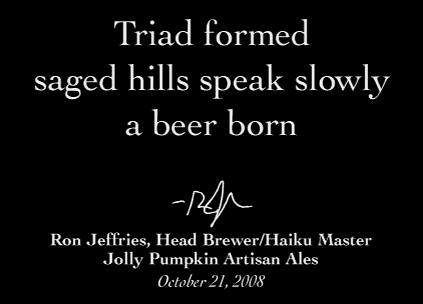 (And with most seasonal beers, its availability lasts longer than its deadline). I love Lagunitas. I particularly like the Lagunitas Censored Rich Copper Ale. 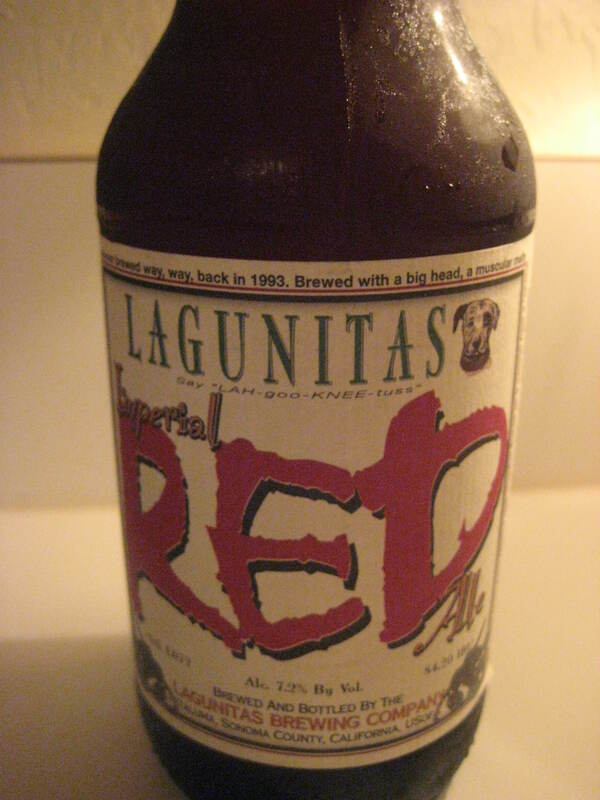 With an IBU of 84 and an ABV of 7.6%, the Lagunitas Imperial Red Ale excites me tremendously. 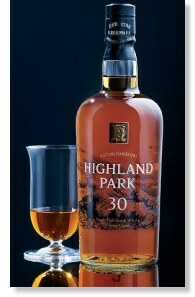 I think we shall taste it … what do you think? APPEARANCE: Dark brownish crimson RED. Super cloudy. THICK off-white head that dissipates very quickly. AROMA: The first whiff is heavy with hops – lots of pine notes as well as grass, citrus & flowers. As the head disappears, so does the hops aroma – giving way to a rich, sweet and malty aroma with hints of toasted oak, brown sugar and butterscotch. TASTE: Hello hops, nice to meet you. The flavor of hops is citrusy and floral in the beginning and very bitter and astringent in the finish – almost like pine sap. Being a major fan of hops, I ABSOLUTELY ADORE the taste of this beer. There are some nice hints of malt that just barely help to reduce the power of the hops. Great acidity! MOUTHFEEL: Medium-bodied, excellent carbonation. Almost no alcohol burn. DRINKABILITY: Besides being ridiculously hoppy, this beer is really well balanced! OVERALL: I really really really like this ale! SUPER BIG PROPS go out to Lagunitas on this one! (BE AWARE: The Wench is a major hophead and is slightly biased towards ales with really high IBUs). I am very sad that Lagunitas Imperial Red Ale is only a limited release. I will definitely be picking up lots more of it while it is still available! 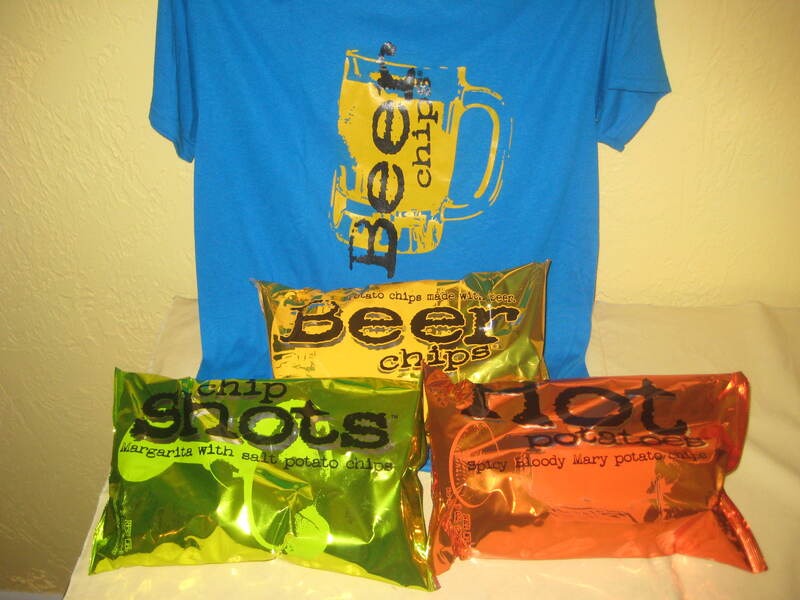 BeerChips – Free Samples & Swag! My moment has come! For some time now, I have been envious of my wine blogger friends whom have had samples and swag sent to them from peeps in the industry. Now let me clear something up first: I am not envious because of the “free” part. I am MORE THAN willing to pay for the beers I drink. I WANT my dollar to support the little guys (the craft brewers, the monks … you get it). The part that makes me envious is that when people are sent free samples it is usually because someone out there respects the blog and recognizes the credibility of the blogger. Bottom line: the blog is being read or at least acknowledged by the industry! And of course there is the PR element of sending samples. I understand that the blogging world has experienced some sincere criticism lately about blogger ethics and all that jazz. BUT here is my philosophy: If someone is taking the time and resources to read my blog, contact me and then mail me free product – out of respect for this person, the least I can do is write a blog about said product. The ethics kick in here, though. I will only write honest reviews! Keeping this in mind, also understand that my blogs are purely subjective. My palate is my palate and my nose is my nose. My words are not the end all be all! 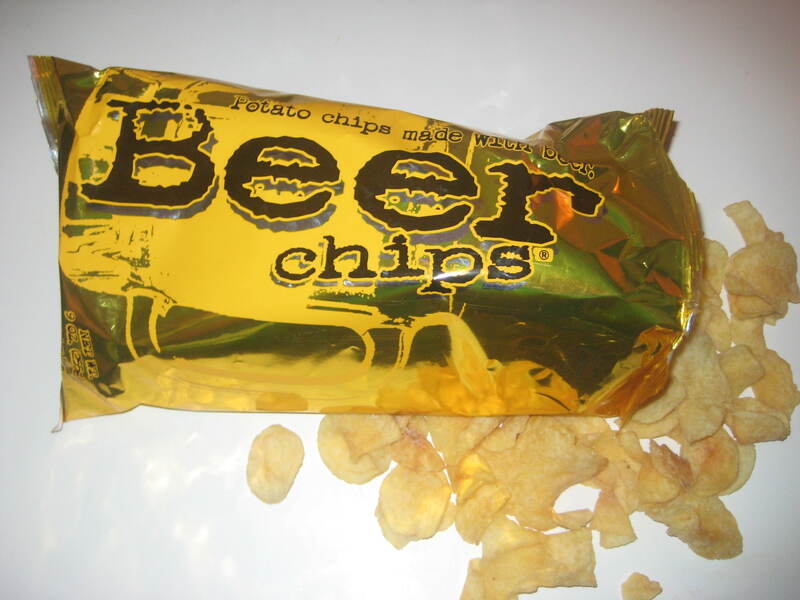 AND THAT BRINGS US TO … BEER CHIPS! OKAY … so TECH-NIC-ALY my first “free swag” experience was not actually with beer. 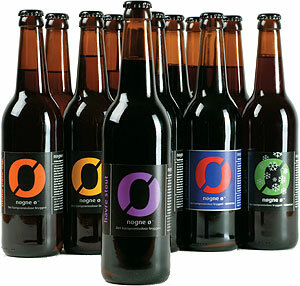 However, there is beer in the product as well as the name – so for me that is just as good if not better! 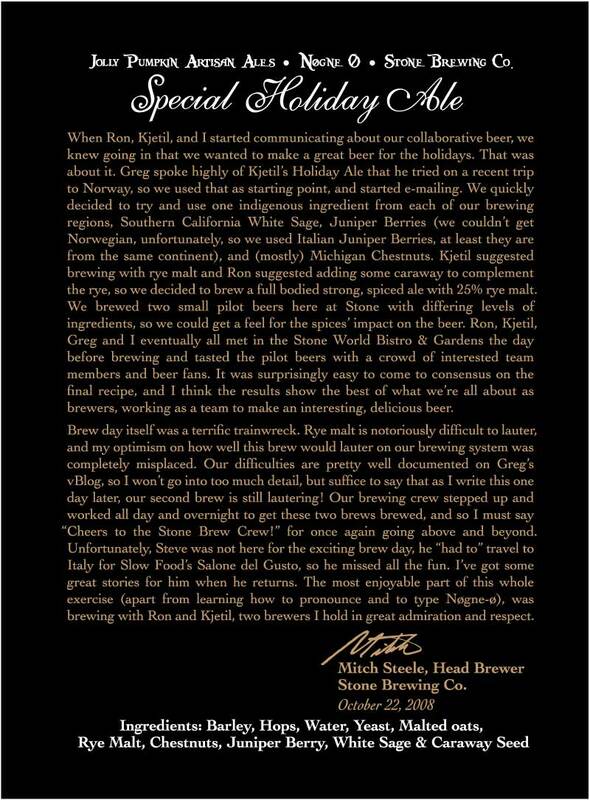 I was recently contacted by the brilliant mind behind Beer Chips – Brett Stern – in response the the blog I had written about Beer Chips back in July. He offered to send me a sample and of course I accepted. I was delightfully surprised to receive not only two FULL-SIZED bags of Beer Chips … but full-size samples of their other two flavors – Margarita and Bloody Mary – as well as a T-Shirt! ROCK ON! Beer Chips LLC. has a great idea … great marketing … witty copy … an awesome interactive website. But what about the product? The mixing of two items that are already fantastic on there own can be a risky move. Sometimes the yielded product is fabulous. For example: Bacon is amazing. Chocolate is freaking amazing. Mixing chocolate and bacon? Vosges Haut Chocolat took this risk – and the result was ridiculously orgasmic! Then there are the combinations that flop. 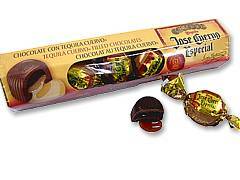 For me, this was the Jose Cuervo filled chocolates (my father bought them for my mother once and they were ABSOLUTELY HEINOUS!) Tequila = good. Chocolate = good. Tequila + Chocolate = Heinous. And now we have BeerChips. Beer = the most amazing thing in the world. Chips = delicious salty treat that COMPLIMENTS beer well. But what about Beer + Chips??? Unfortunately, I do not detect the beer flavor in the chips (and trust me I ate almost the whole bag already!) 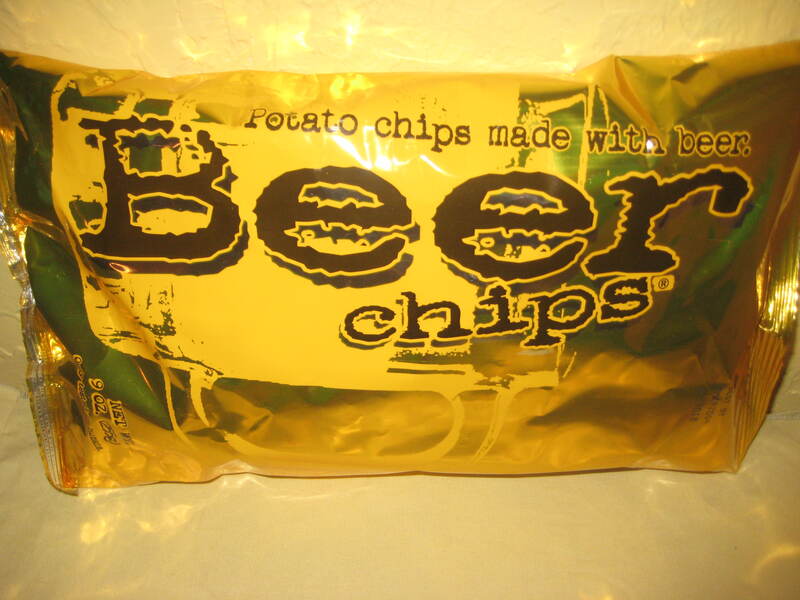 BUT, beer flavor or not – BeerChips would make an excellent pairing with many beer styles. And on that note, I think I will pop open a Bell’s Two-Hearted and polish off the rest of the bag right now! CHEERS! EXTRA SPECIAL THANKS GOES OUT TO BRETT STERN AND BEERCHIPS LLC!! !